Beaded bracelets have grabbed a vital place in the accessory list of women. They are also carried by some men and kids for a funky look on casuals. Widely used a friendship belts, they can also be made at home with several different designs. So, let’s check out a diverse collection with a variety of charms and colors to adore your hands. Here look at some fantastic Beads Bracelet Making in different designs. Choose your loved one and try it. 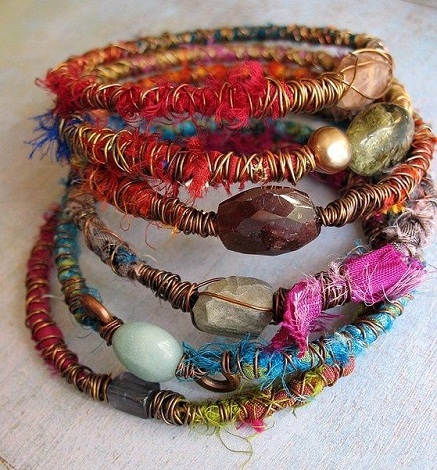 Thinking how to make beaded bracelets design using beads and elastic! All you need is merely some crystal beads and elastic. Just tie a knot on one side and enter all the beads in it. Join both the ends and make sure the knot is able to hide inside the bead. To make the cluster beads bracelet, get a small silver chain, a lobster clasp and some beads clusters of your favorite color. Attach one clasp at one end of the chain and start entering the other beads in it wiring them with the chain. After making clusters, join the wire at the end to form a bracelet. 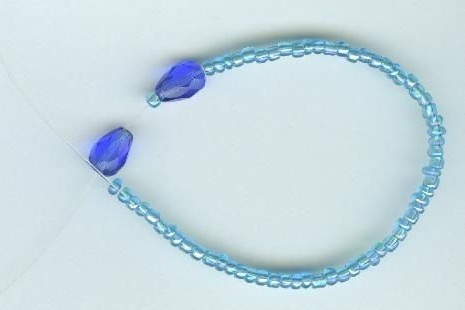 The beads bracelet made with crystal and topaz of several designs and colors. You also need a broch with similar color to give the front part of the bracelet. Merely fix the beads in the chain and attach the chain to the broch. Make sure you attach the eye pin in one end and head pin in the other. Got wastage fabric in your house! 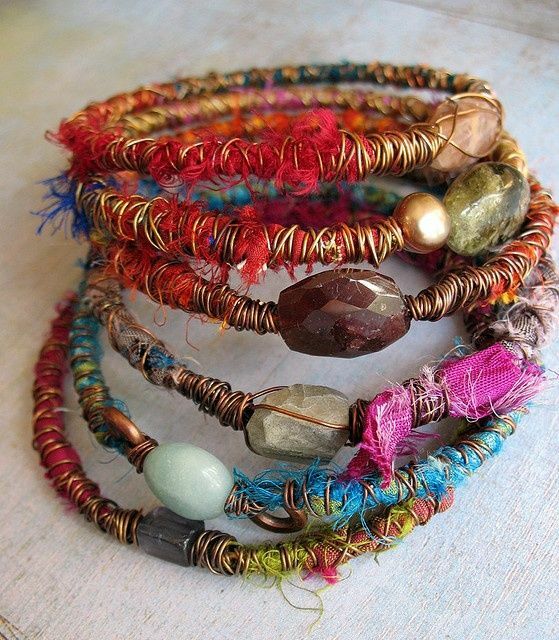 Use them to make a lovely bracelet for yourself. Get a bangle bracelet in plastic or wood. 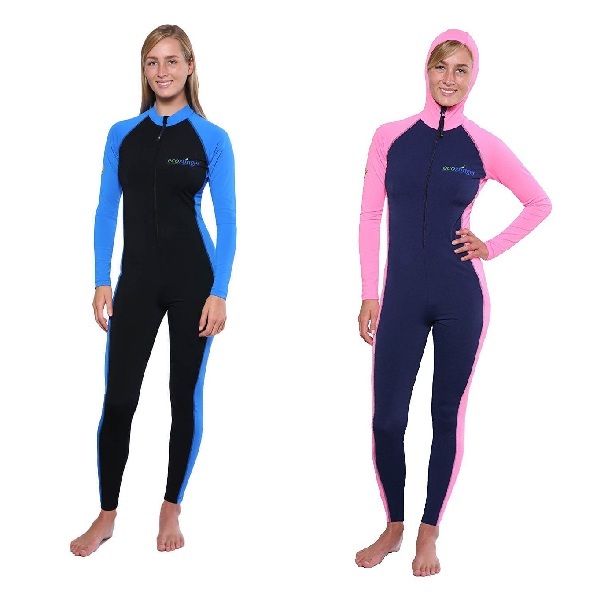 Make long thin or medium strips of the fabric. Apply some glue to the bangle and cover it with fabric in a circular way. 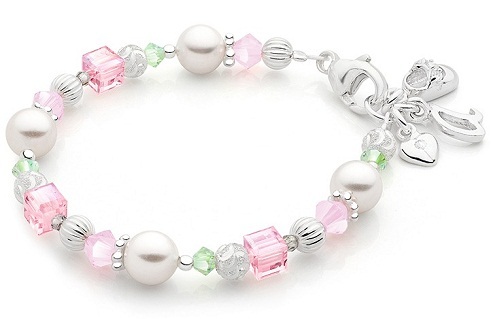 You can decorate the bracelet with different charms like pearls, buttons, beads, pearls etc. The DIY amber rose bead bracelet is made with silver heishe spacer beads, crimp beads, antique copper, russet, and gold beads. The beads are inserted making designs in a silver wire. 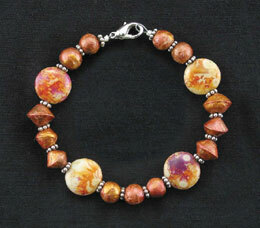 Finish up making the bead bracelet with a lobster style claps to make an opening. This beads bracelet making is done with the help of needle and thread using beads of three different colors. You can use the ready-made floral bead available in the market. Now make a knot at one end attaching the hook holder in it. Insert all the beads forming a pattern. End up fixing a hook at the other end. 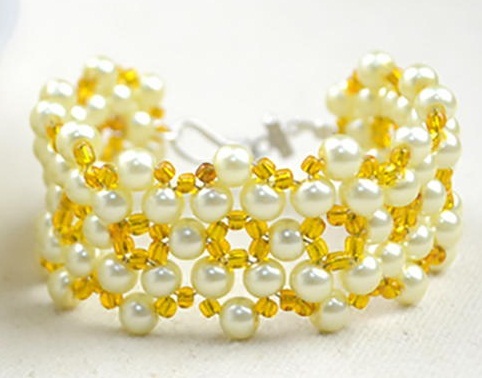 This attractive bracelet is made by the knitting formula e. All you need is some golden yellow and ivory pearls. 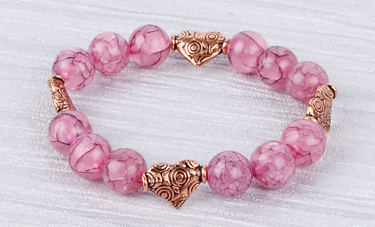 Using a needle and thin fiber string, knit all the beads forming a thick bracelet design. At both ends, fix up head hook and eye hook for an opening. Make sure you make a tight grip in binding the beads. 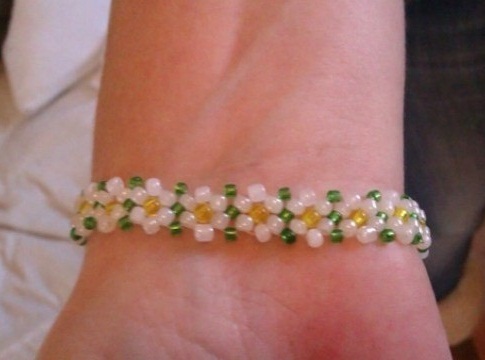 This summer friendly bead bracelet is made with crystal beads like light sapphire, jonquil, light rose, peridot, floral spacer etc. All the beads are inserted into an elastic band one by one. The band can either be given an opening or made simple round. Just enter all the beads in elastic and pack it with confirmed knots. This stylish yet ethnic bead bracelet is made with round rondelle beads; flower clasps beads and gold metal beads in heart shape. 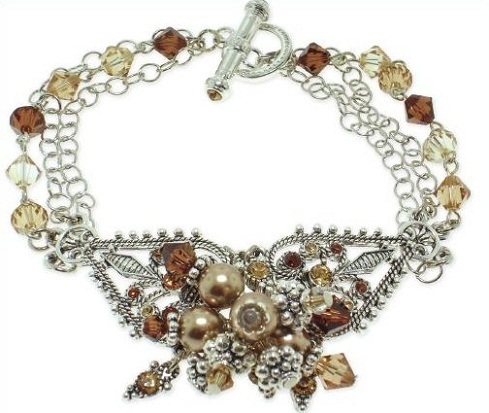 The bracelet is made using stringing wire and toggle clasp and head pins. Merely attach the clasp on one end and enter the beads ending with head pins at the other end. Many people wonder how to make bracelets with beads, and this can be simple methods to make an attractive bead bracelet design. You can also add different material like scrap material, buttons, crochet cuts, metal and wire, etc.